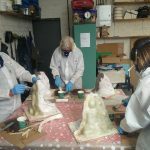 As of September 2016, Emma has been running various sculpture courses: predominantly being life sculpture but also involving plaster casting, wire & plaster, mould making and resin casting. 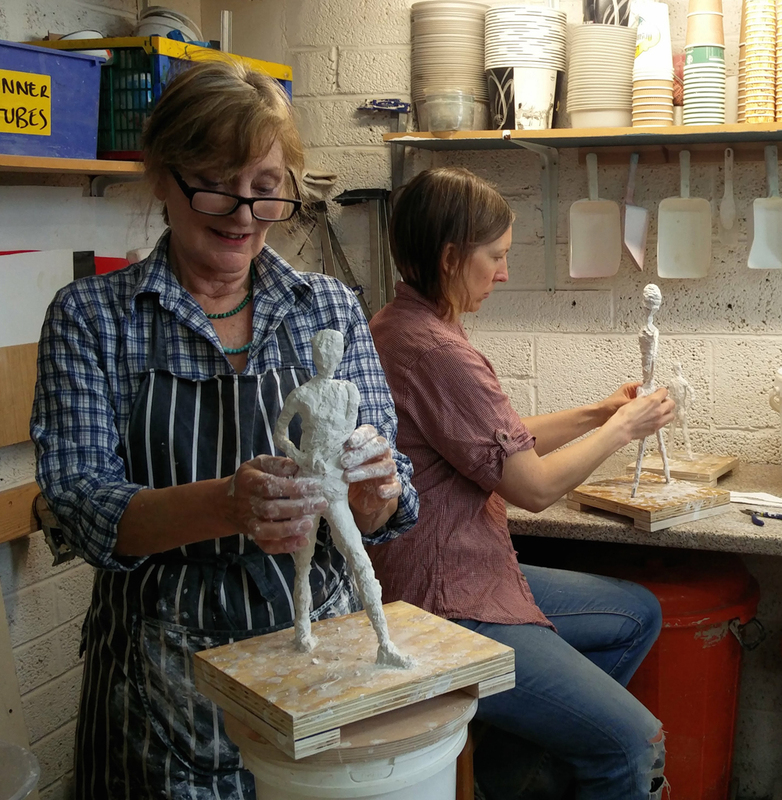 The classes are run in a well-equipped workshop at In Bristol Studio, where she is also based. 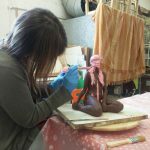 Emma enjoys getting people involved in sculpting: being hands on with the tactile nature of clay, learning new sculptural techniques as well as studying the intricacies of human body, which she has spent many hours drawing and studying and is always at hand to discuss the anatomy of the pose. 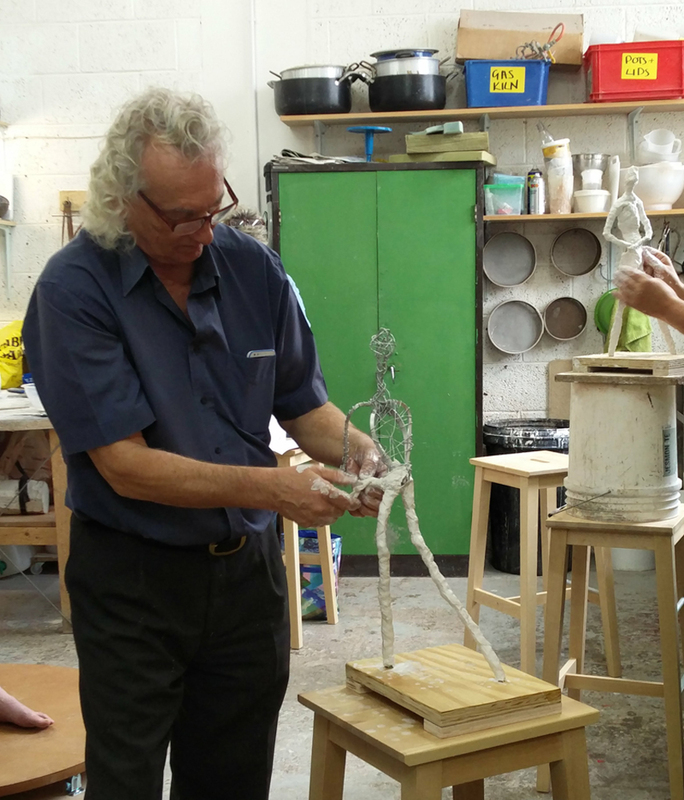 All courses have maximum of 6 participants, ensuring you have plenty of space. 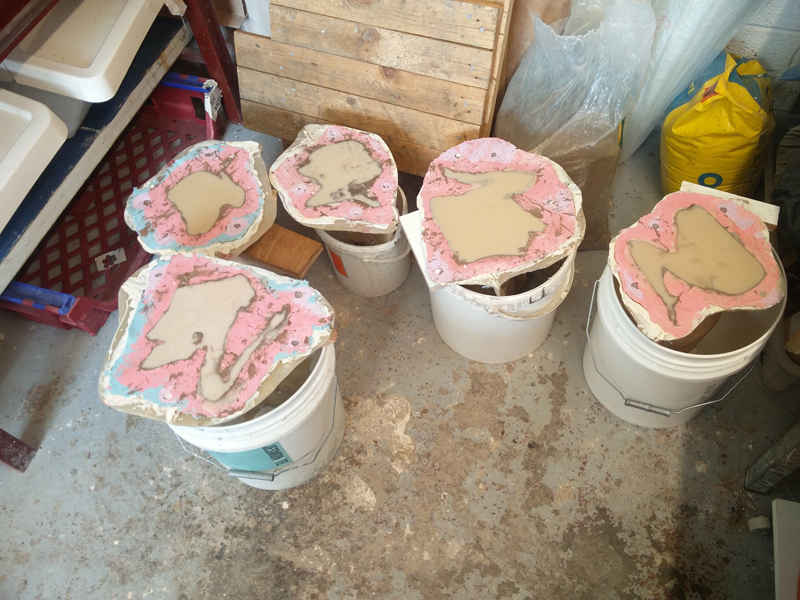 Facilities include a specially made turntable for the model, so that everyone can stay in one place, as the model turns so you can see every angle. 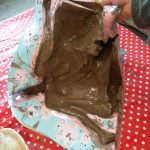 Email Emma to book a course, ask any questions or if you wish to be added to her mailing list to hear first about new courses. 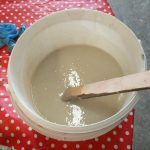 4 sessions: 23rd January – 13th February 2019. 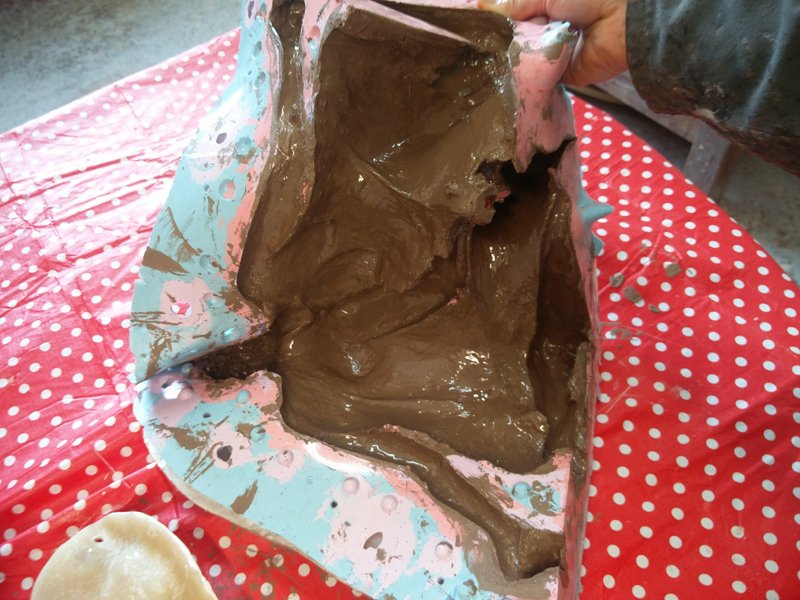 You will be shown how to cast your own hand using Alginate rubber to then make a plaster cast. 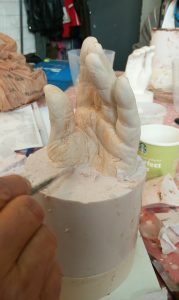 You will then use this cast as reference to sculpt your own hand. We will look at basic anatomy of hands. No experience required. 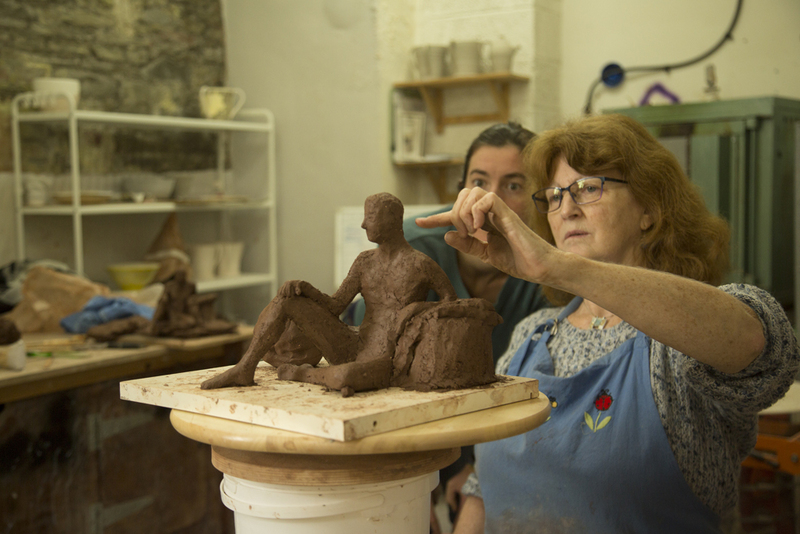 2 models, various poses, working in clay. 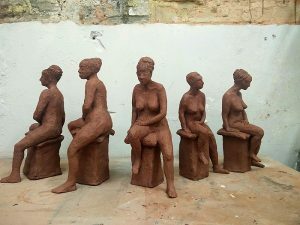 Depending on the group, I’m thinking to do various shorter poses, as studies and to develop sculpting more instinctively. Total price £150, incl. 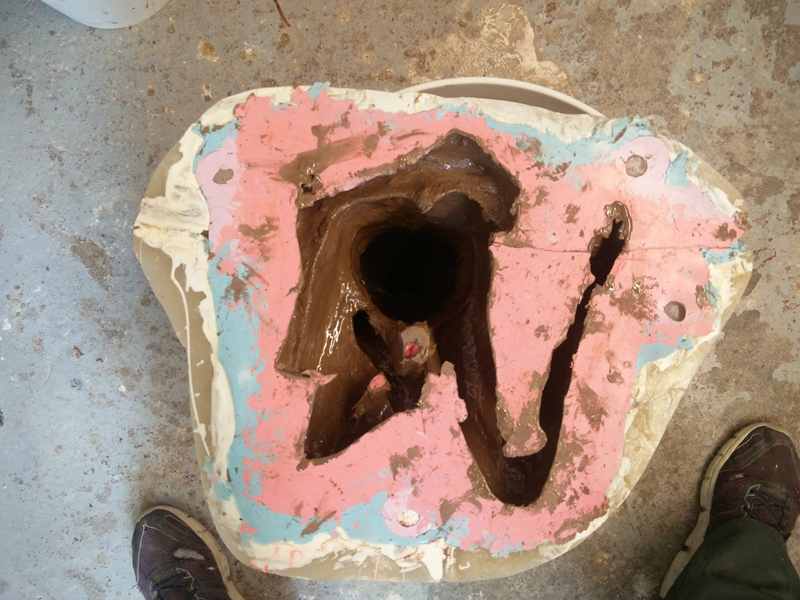 clay, model fee and tuition. 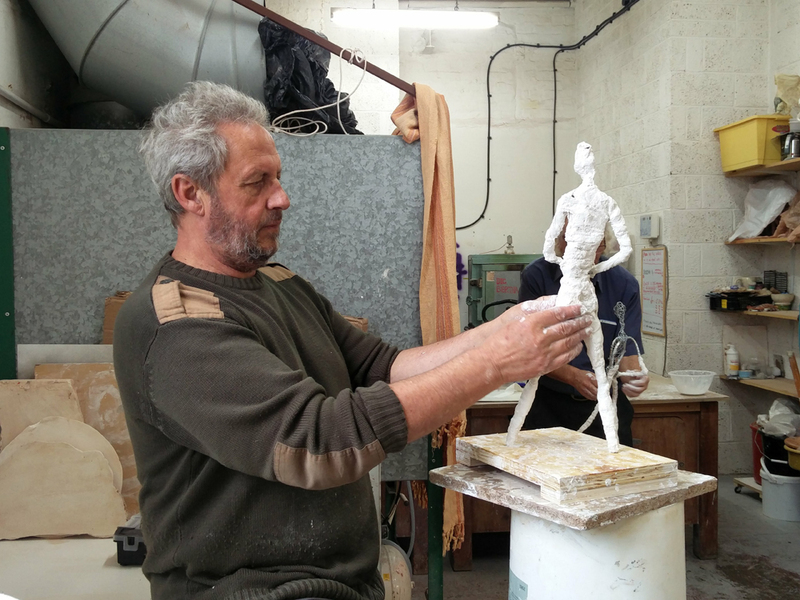 These range from day workshops to 8 session course with 2 poses. 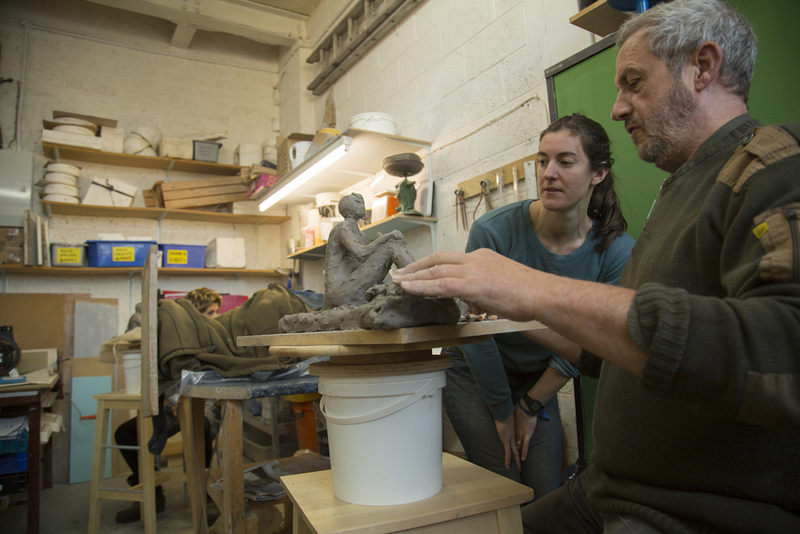 The classes give you chance to explore the human figure in 3D, working with clay from a life model. All abilities and backgrounds are welcome. 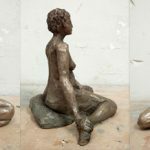 The class is self-led, though I am at hand to help with sculptural form and anatomy of the pose as well as support your creative expression. 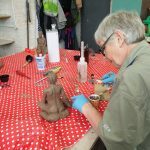 Clay sculptures can be fired on site for small fee and collected after the course; you will need to hollow out your sculpture during the sessions and advice of how to do so will be at hand. 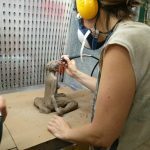 A more challenging and explorative course, looking at techniques of working in wire to build an armature. 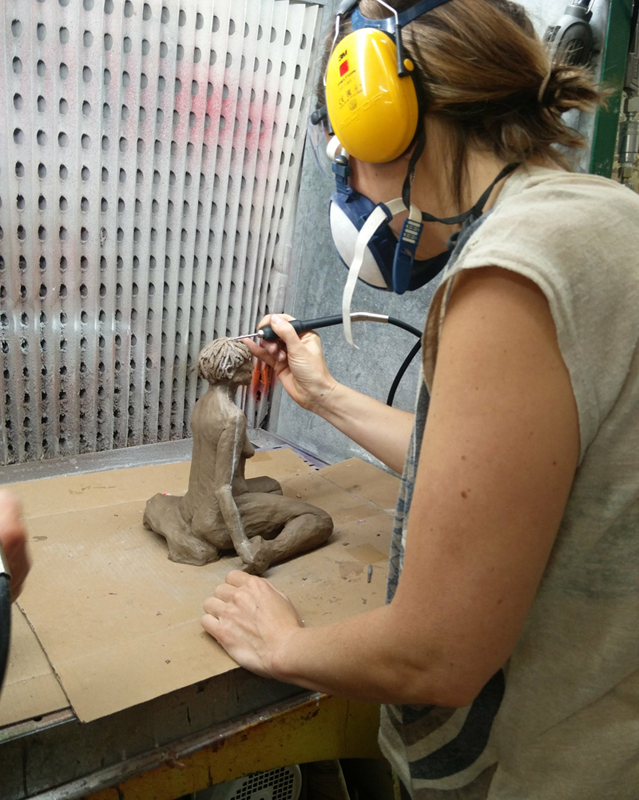 Once the armature has been made, we then use mud-roc, then plaster on the top to finish the sculpture. 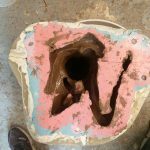 All the time we will work from life model. A practical study of hands and their anatomy. 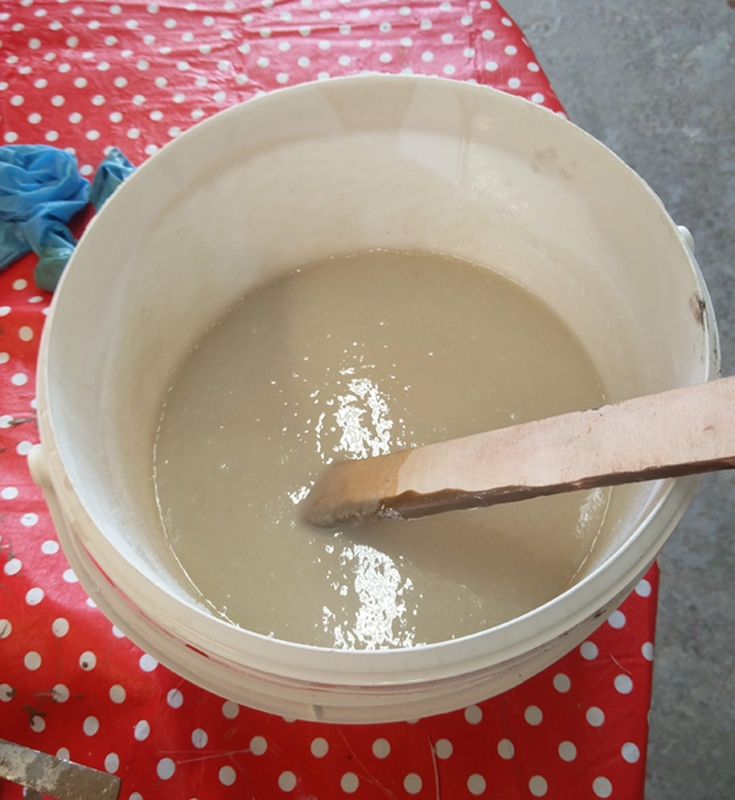 We start with casting your hand, by using Alginate rubber to make a mould, into which we pour a plaster to make a cast. 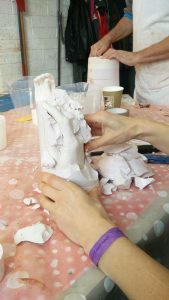 Then there will be time to work on your plaster cast before using this cast as reference to sculpt your own hand in clay. 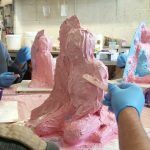 You will develop understanding of basic anatomy of hands and learn tricks of how to sculpt them, which will help you in your own work. 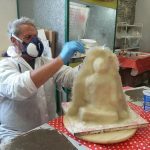 Mould making and Resin Casting Course. 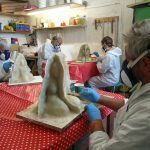 I am no longer running this course unfortunately, as it is very time consuming and I need to focus on my own work. 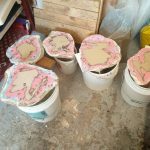 I thought I would still mention it here, to give you an insight into the casting process that goes on behind my work and something I may offer again. 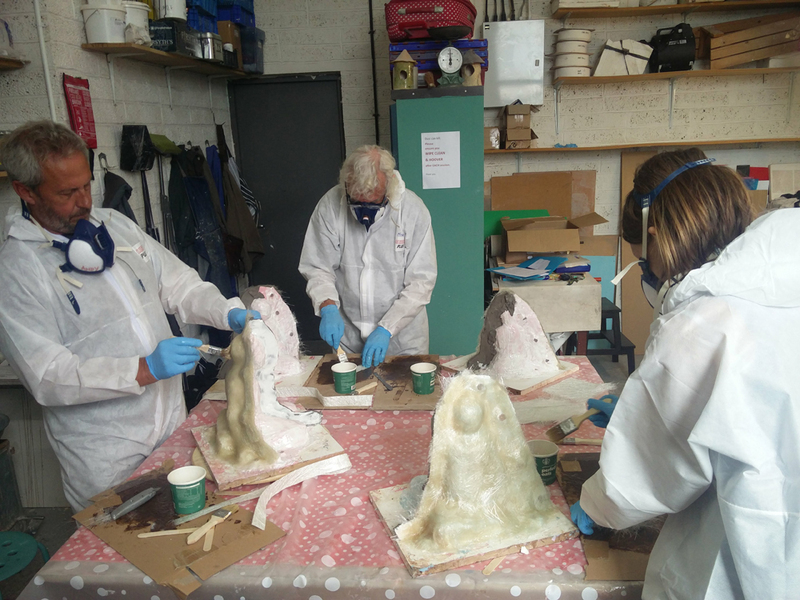 It was an 11 week course, teaching you every step of the mould making and resin casting process. 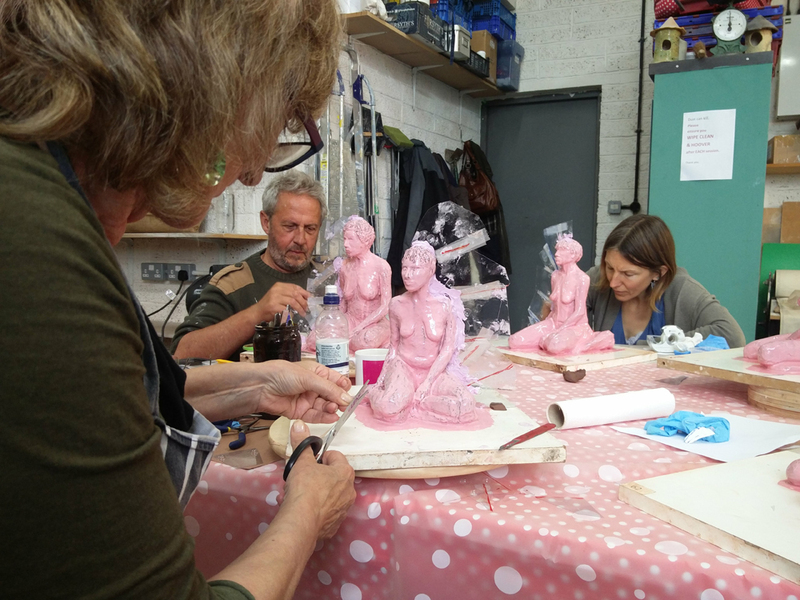 First few weeks were spent sculpting from Life Model; then we made a silicone mould, building up layer by layer, then a fibreglass case to secure the silicone mould. 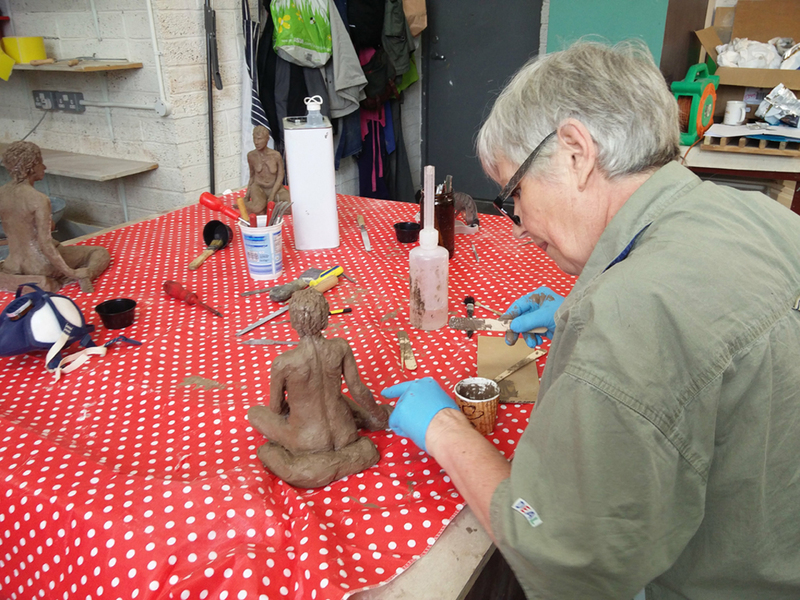 Once this has been all cleaned up, we then cast your Bronze resin sculpture and finally fettle, polish and patinate it.